What are the Best Schools for Obtaining a Master’s in Healthcare Administration? Taking a higher education program that is well-respected among public and private employers is very important. Not only do you need to consider the quality of content that will be focused on in terms of curriculum, you also need to consider how your degree will be perceived if you list it on your resume. One very important factors to consider when you are comparing programs is accreditation. Many schools that offer specialized programs may not have regional accreditation, but these schools can possess a specialized accreditation. In Healthcare Management, one of the most respected agencies that grants accreditation is the Commission on Accreditation of Healthcare Management Education. The CAHME is the only agency that grants accreditation and evaluates professional Master’s degree programs in Healthcare Management. Another factor to consider if you want to choose a program that meets high quality standards is the program outcomes. In some aspects, Healthcare Administration curriculum is very similar from school to school. While the curriculum can be similar in nature, you have to consider the areas of concentration that are offered. There are several different specializations that you can choose from, including: Human Resources, Information Systems, Marketing and Finance just to name a few. If the school offers only the general degree and not concentrations, you should look elsewhere. Now that you know what qualities to look for when you are trying to find the best program, it is time to compare some options through the best schools. Some of the most popular schools that are accredited by the CAHME include and have positive learning outcomes include: Johns Hopkins University, University of North Carolina, Georgetown University, University of Barcelona, University of Southern California, Virginia Commonwealth University, Hofstra and University of Michigan. Each of these schools are dedicated to providing students with the superior skills that they need to work and solve real-world administration problems. Students who graduate will have analytical and conceptual skills that they can apply to advance to a high level administrator. You need to look for a Healthcare Administration college that is convenient to attend and still very popular. 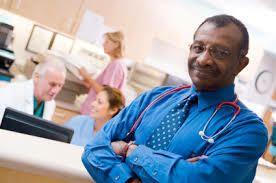 Formal education is essential when you would like to work in the complex field of healthcare administration. Be sure to compare colleges, review the statistics, and then you can find a Master’s in Healthcare Administration schools that will suit your learning style, keep you engaged and land you a job. Related Resource: Is an Online MHA Degree Worth It?